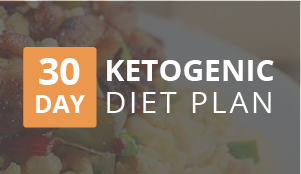 Here’s another super simple, extremely delicious keto lunch or dinner that you can do! 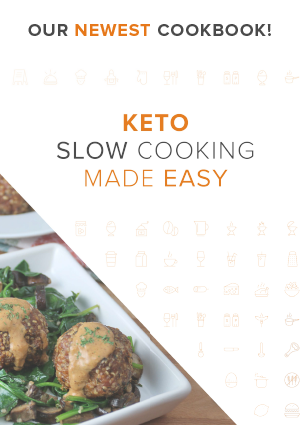 It takes a total of about 10 minutes to prep everything, but the rest of the time you just have to wait for the oven to be done. It doesn’t get much easier than this. 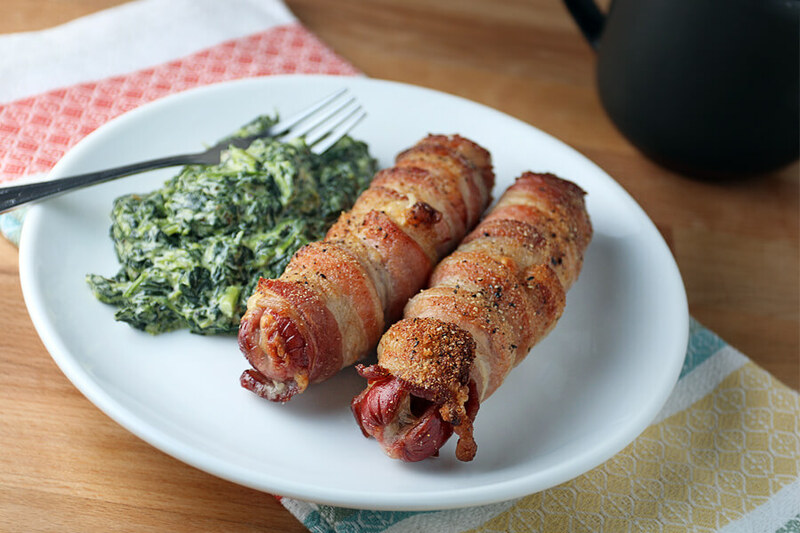 Cheese stuffed bacon wrapped hot dogs would taste exactly how you expect – very savory, rich, and fatty. The bacon really crisps up nicely, but if you want to, you can always broil it for a little extra crisp at the end. 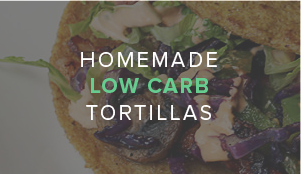 You can also use your own preferences of seasoning here. I like onion and garlic powder, but if you want to add some lemon juice or brush your own acidic glaze over the top – you definitely can. 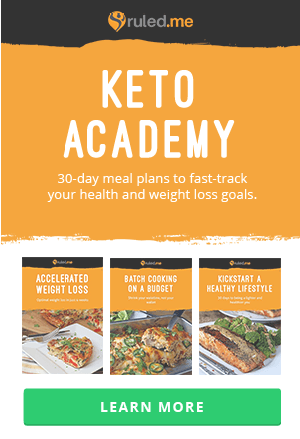 You can opt for your favorite brand of hot dogs here, but I decided to choose grassfed beef, since it was the best fat to protein ratio I could find. 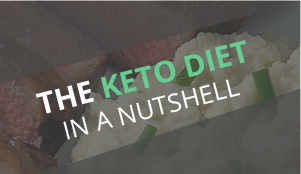 Of course, if you need to add more fat into the macros, you can always add a fatty side dish or make a small dipping sauce for yourself. 1. Pre-heat oven to 400°F. 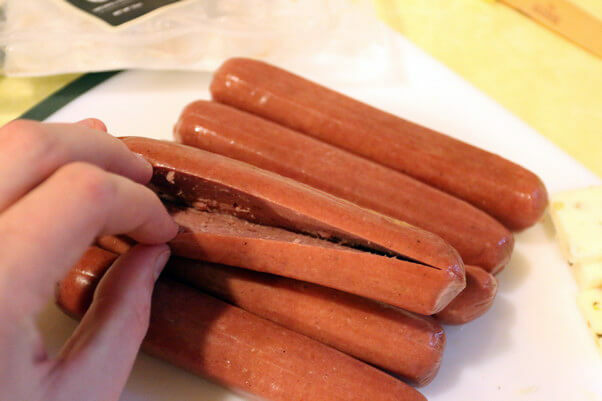 Make a slit in all of the hot dogs to make room for the cheese. 2. 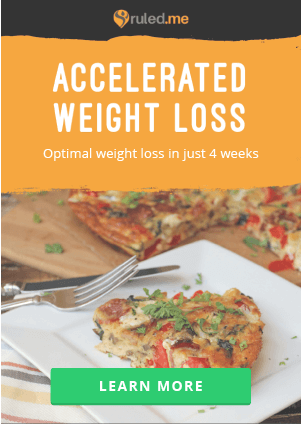 Slice 2 oz. Cheddar cheese from a block into small long rectangles and stuff into the hot dogs. 3. 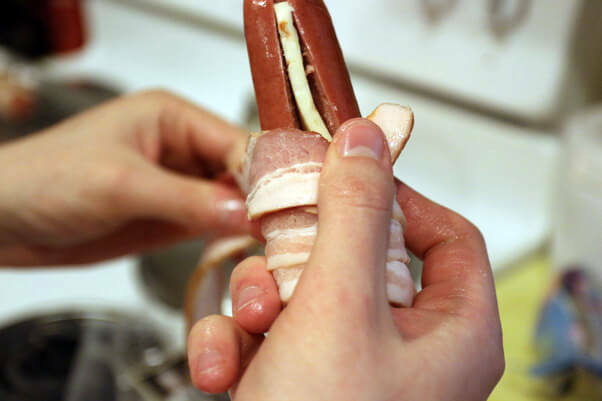 Start by tightly wrapping one slice of bacon around he hot dog. 4. 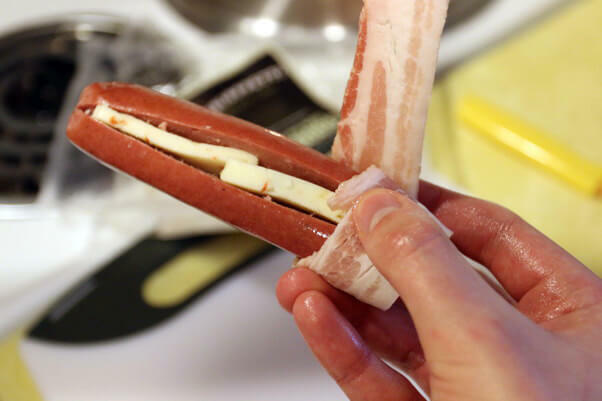 Continue tightly wrapping the second slice of bacon around the hot dog, slightly overlapping with the first slice. 5. 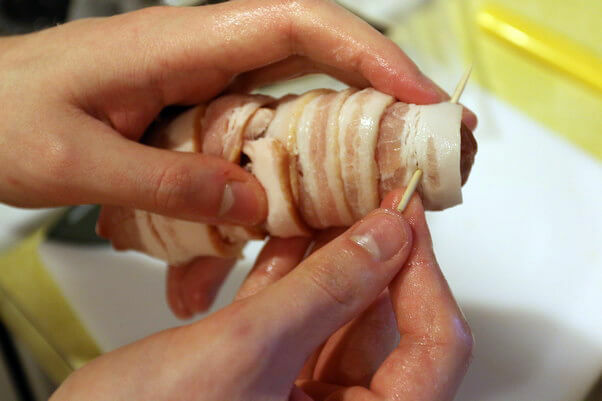 Poke toothpicks through each side of the bacon and hot dog, securing the bacon in place. 6. Set on a wire rack that’s on top of a cookie sheet. Season with garlic powder, onion powder, salt and pepper. 7. 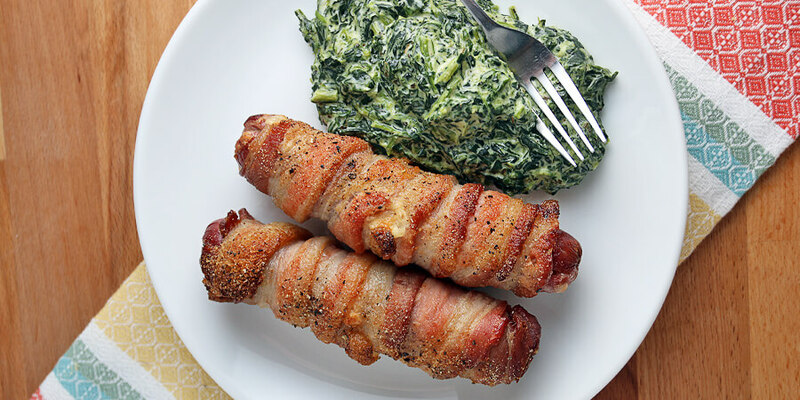 Bake for 35-40 minutes, or until bacon is crispy. Additionally broil the bacon on top if needed. 8. 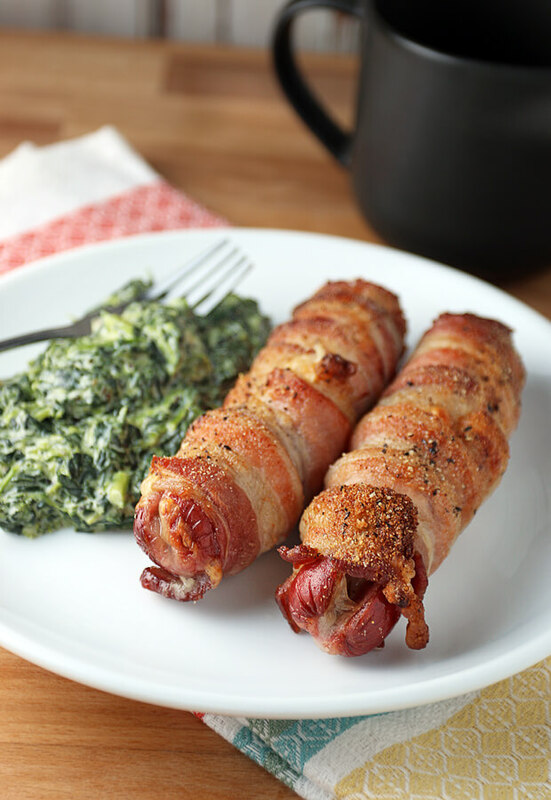 Serve up with some delicious creamed spinach! 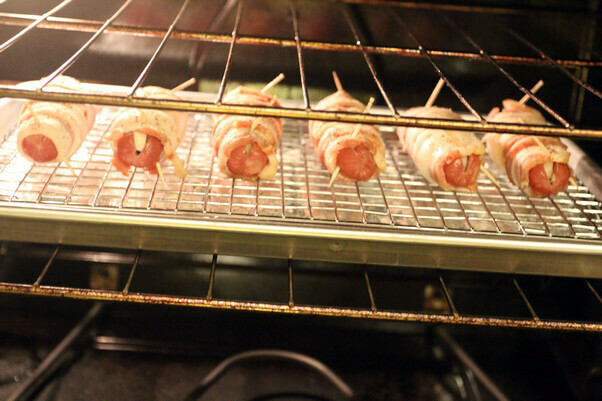 This makes a total of 6 Cheese Stuffed Bacon Wrapped Hot Dogs. 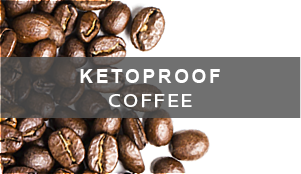 Each comes out to be 283 Calories, 19.26g Fats, 2.08g Net Carbs, and 13.63g Protein. Pre-heat oven to 400°F. 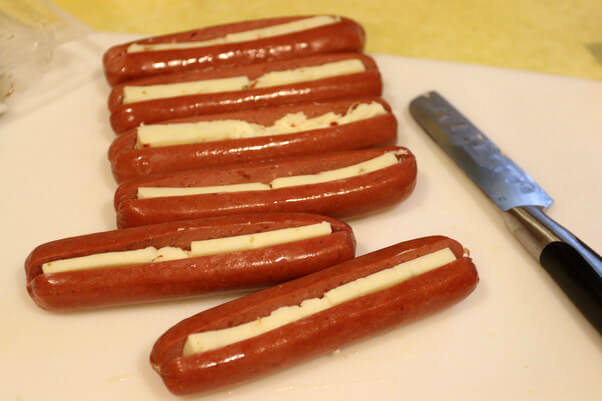 Make a slit in all of the hot dogs and insert sliced cheese into the slits. 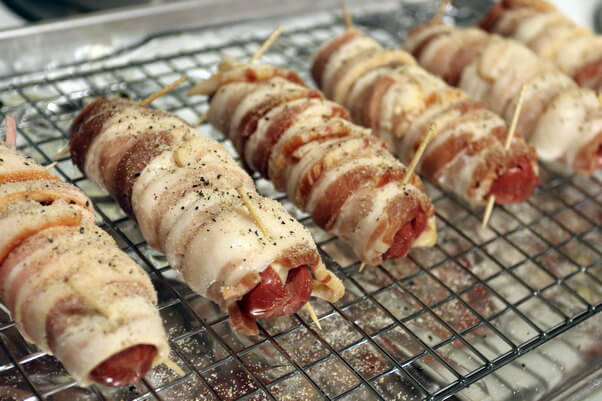 Wrap each hot dog in 2 slices of bacon, then secure bacon on each end with toothpicks. Place hot dogs on top of a wire rack that's on top of a cookie sheet. Season the hot dogs, and bake for 35-40 minutes.